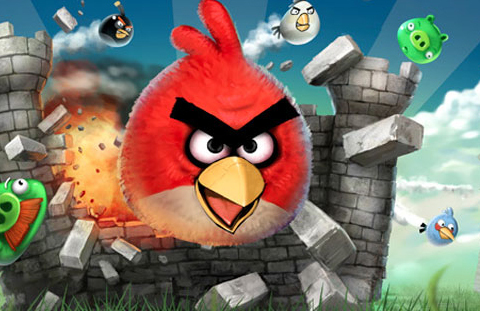 ‘Angry birds’ is the most popular game on the iPhone, iPad and iPod Touch platform even though it’s not free. It was developed exclusively for the above Apple devices by Rovio Mobile and it’s been a success story ever since. Now, Rovio has released the game for Android users probably realising that limiting the game to Apple devices only is a bad business strategy. Widening its reach will almost double the users and hence the cash. The new Android version of the game is Angry Birds Lite (a free trial with several of the chapters locked) and it’s in beta testing, so it’s not quite bug-free on all Android devices. Some reports say that it doesn’t work at all on Evo handsets. There are a lot of similar slingshot games available on the web in Flash and mobiles too but Angry Birds became so widely popular owing to its fun story, great sound effects and detailed graphics. The story concerns greedy pigs that steal the eggs of nearby birds, making them angry. The pigs hide from the birds in ever-increasingly secure forts made of wood and bricks, which you must destroy by flinging the birds at the forts with a large slingshot. It’s the grunting and whistling birds, winking and smiling pigs and tons of other small details which make the game addictive and users continue to grow every day. It’s obviously going to get quite a few downloads on the Android platform but being in the beta stage, it will take a while to become completely bug free. The app makes it clear by warning about its beta status on an initial pop-up. You can enter a bug report by tapping the bug icon on the home screen to inform the developers and assist in its improvement. Rovio has not issued a release date for the final version of the game but that should not stop you from checking it out on your Android device right now.